Candles and Clockwork Resource Pack 1.8.8 gives you the ability to choose between two types of packs, either you choose Classic of Realism. Aside from that, after you choose which type you would like to pick, you also get to choose between 4 resolutions. Talk about a good deal! The classic Candles and Clockwork Resource Pack contains the classic themed of the pack and shows you how the pack is really supposed to look while the realism pack gives you a new look at it with realism themed textures. You also get to choose between 4 resolutions, 16x, 32x, 64x, and 128x but 16x being the default resolution. If you love this pack and want to have more in the future, you can show your love to DISCOTTER. You can check his Youtube Channel to support him. You can check more PVP packs over here. How to install Candles and Clockwork Resource Pack 1.8.8? If you don’t know how to install the Candles and Clockwork Resource Pack 1.8.8. just look below, we’ll provide you with a short tutorial there. This installation guide should work with all Minecraft versions. To see the Official Download Links just scroll down. 2. 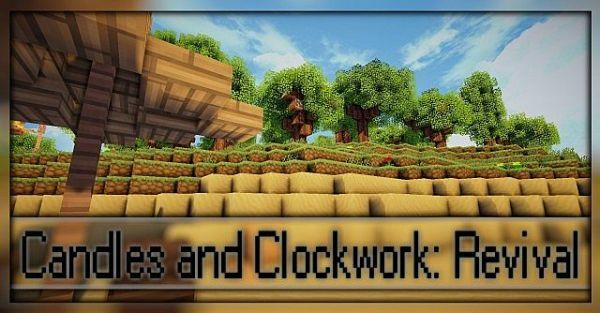 Download the Candles and Clockwork Resource Pack 1.8.8 from the official links.